Amit Shah, who is on a three day tour to Bengal, said sky is the limit for BJP and claimed that the party can think it has touched the sky once it succeeds in forming the government in Kolkata. BJP President Amit Shah is on a three day tour to West Bengal. 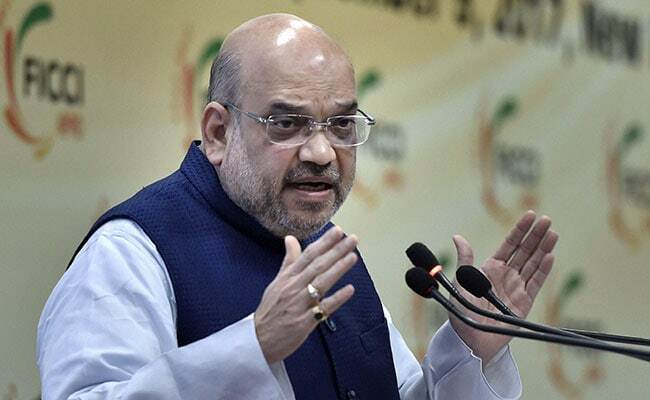 Kolkata: Urging the state BJP leaders and activists to keep working towards the growth and betterment of the party, BJP President Amit Shah on Monday said the party would achieve its ultimate goal when it forms the government in West Bengal. "Shah said the BJP has seen a lot of growth in recent years, but has not reached its saturation point yet. The ultimate goal of BJP would be to form government in states like West Bengal," BJP state General Secretary Sayantan Basu told IANS after a closed-door party leaders' meeting addressed by Mr Shah at the Indian Council for Cultural Relations auditorium in Kolkata. Mr Shah, who is on a three day tour to Bengal, said sky is the limit for BJP and claimed that the party can think it has touched the sky once it succeeds in forming the government in Kolkata. According to party sources close, he asked the party activists to stop complaining about problems and start working towards its growth at the booth level in Bengal. Before the party leaders' meeting, Mr Shah paid floral tribute to Swami Vivekananda at his ancestral house in north Kolkata. State BJP president Dilip Ghosh, national General Secretary Kailash Vijayvargiya, Union Ministers SS Alhuwalia and Babul Supriyo were present at both the programmes. Mr Shah would interact with party workers from different districts, who have allegedly been victims of political violence unleashed by the state's ruling Trinamool Congress followed by an intellectuals meeting in the same venue on Tuesday. He is also slated to hold a meeting with members of the Merchants Chamber of Commerce at a five star hotel in central Kolkata on the last day of his three day tour.